Been away from the blogging gig for a bit, being kept super busy brining my son into the world. What better way to return than with a bit of excellent new summer fare from a long time OTR favourite Work Drugs. 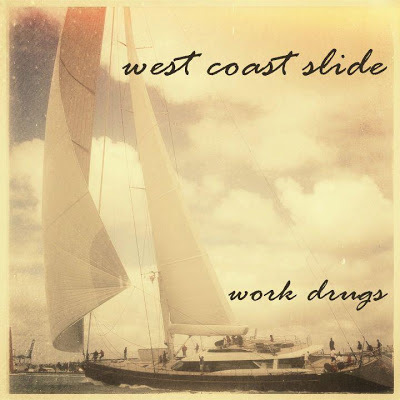 This track "West Coast Slide" is the first single from their upcoming new album Mavericks, out next month. The track and it's accompanying video are perfectly timed for setting the stage for summer fun!